The Church hopes these guidelines will help save the lives of missionaries. The Church of Jesus Christ of Latter-day Saints (LDS) has released a new video series designed to enhance the safety of over 65,000 full-time missionaries. The videos aim to make missionaries imbibe life experiences via storytelling and real examples. The video series titled The SafetyZone consists of a total of 12 episodes. Every episode covers a safety topic specially created for missionaries, and the content is shown in an informative, entertaining manner. The first video released is on mission rules and situational awareness principles. The videos ask the missionary to respect all risks, and respect the people they are dispatched to serve. These guidelines inform the LDS missionaries that although God sent them, they continue to be vulnerable to physical beatings, vehicle accidents, and animal attacks. They could suffer from malarial fever or suffer electric shock from loose wires. Several LDS missionaries have reported they have been groped and sexually assaulted. They were also stripped and robbed. 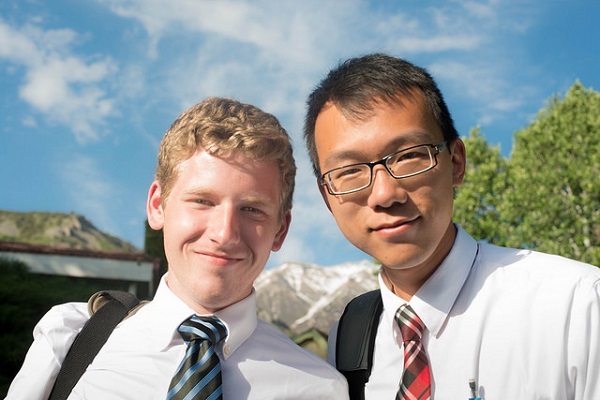 The SafetyZone aims to introduce young LDS missionaries to protective measures which may save their lives. According to Elder Dieter F. Uchtdorf, the chairperson of the Missionary Executive Council of the Church and a member of Quorum of the Twelve Apostles, the overriding goal of the 12-part series is to make the missionaries safe. The videos are filled with practical tips and lots of common sense. The series instructs its viewers as to how they can make their missions safe and protect one another. The video content blends humor and entertainment with repetition to deliver a more memorable learning. Real life missionary events are also retold. The list of additional topics is preparation day safety and safe driving. Similar safety tips are also given for pedestrians and bicycle riders. Young LDS missionaries will even get to know how to tackle environmental problems like carbon monoxide, food handling, and clean water. Other than the highlight clips, the safety videos have “Let’s Get Real” parts. These are actual life experiences narrated via re-enactments and re-telling. The first episode of The SafetyZone is made to be viewed by all LDS prospective missionaries along with their parents.